we are leading suppliers & exporters of "Tenofovir Disoproxil Fumarate" in China, Russia, Hongkong, Bulgaria, Romania, India. Description - The Brand name of this medicine is Tenvir. 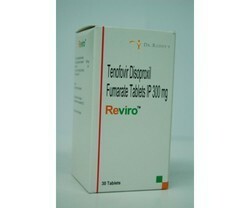 Tenvir medicine contains generic Tenofovir Disoproxil Fumarate. 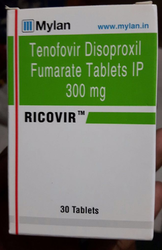 Tenofovir Disoproxil Fumarate are available in form of Tablets. Each Coated Tablet contains 300 Mg Tenofovir Disoproxil Fumarate. The colour of the Tenvir Tablet is Lake Indigo Carmine & Titanium Dioxide. One Pack of Tenvir contains 30 Tablets. Manufacturer & Marketed company name of Tenvir is Cipla Pharmaceuticals Ltd, India. 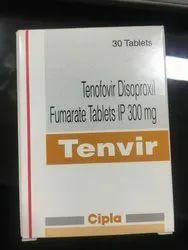 USED - Tenvir 300 mg Tablet is an antiviral medicine which is used to treat human immunodeficiency virus (HIV) and hepatitis B virus (HBV) infections. Warning: Tenvir medicine out of the reach and sight of children and away from pets, never share your medicines with others, and use this medication only for the indication prescribed. The information contained herein is not intended to cover all possible uses, directions, precautions, warnings, drug interactions, allergic reactions, or adverse effects. Description - The Brand name of this medicine is Teevir. Teevir medicine contains generic Efavirenz , Emtricitabine , Tenofovir . 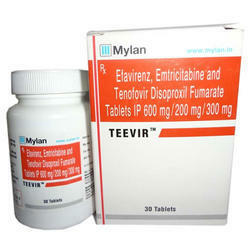 Efavirenz , Emtricitabine , Tenofovir are available in form of Tablets. Each Coated Tablet contains 600mg Efavirenz , 200mg Emtricitabine , 300mg Tenofovir. One Pack of Teevir contains 30 Tablets. Manufacturer & Marketed company name of Teevir is Mylan Pharmaceuticals, India. USED - Teevir Tablet is a combination medicine used for the treatment of human immunodeficiency virus (HIV) infections. Warning: Teevir medicine out of the reach and sight of children and away from pets, never share your medicines with others, and use this medication only for the indication prescribed. The information contained herein is not intended to cover all possible uses, directions, precautions, warnings, drug interactions, allergic reactions, or adverse effects. Description - The Brand name of this medicine is Tenvir EM. Tenvir EM medicine contains generic Emtricitabine & Tenofovir Disoproxil Fumarate. Emtricitabine & Tenofovir Disoproxil Fumarate are available in form of Tablets. Each Coated Tablet contains 200Mg Emtricitabine & 300Mg Tenofovir Disoproxil Fumarate. The colour of the Tenvir EM Tablet is Lake Indigo Carmine. 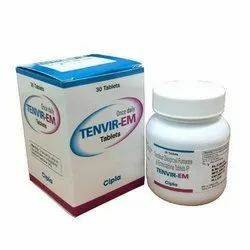 One Pack of Tenvir EM contains 30 Tablets. Manufacturer & Marketed company name of Tenvir EM is Cipla Pharmaceuticals Ltd, India. Warning: Tenvir EMmedicine out of the reach and sight of children and away from pets, never share your medicines with others, and use this medication only for the indication prescribed. The information contained herein is not intended to cover all possible uses, directions, precautions, warnings, drug interactions, allergic reactions, or adverse effects. Description - Brand name is Hepbest. 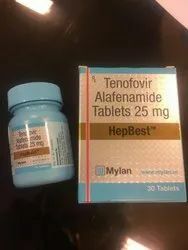 Hepbest medicine contains generic Tenofovir Alafenamide . 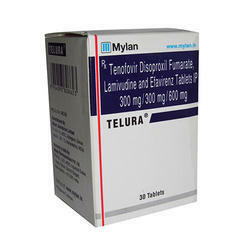 Tenofovir Alafenamide available in form of Tablets. One Pack of Hepbest contains number of Tablets is 30. Manufacturer company name of Hepbest is Mylan Labs Ltd and Marketed company name of Hepbest is Mylan Pharmaceuticals Ltd , India. USED - Hepbest is used to treat chronic hepatitis B infection, a viral infection of the liver. It works by stopping or slowing the growth of the virus. Dosage- Hepbest 25 mg Tablet is to be taken with food. Warning: Hepbest medicine out of the reach and sight of children and away from pets, never share your medicines with others, and use this medication only for the indication prescribed. The information contained herein is not intended to cover all possible uses, directions, precautions, warnings, drug interactions, allergic reactions, or adverse effects. Tenofovir is an antiviral medication that prevents human immunodeficiency virus (HIV) or hepatitis B virus cells from multiplying in your body. 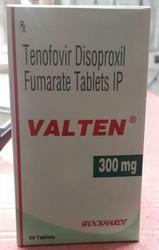 Tenofovir is used to treatHIV, which causes the acquired immunodeficiency syndrome (AIDS). Tenofovir is not a cure for HIV or AIDS. Warning: Tenofovir is a prescription drug and should be used under proper medical guidance and advice. The information provided here is for general educational purposes only and does not constitute medical or pharmaceutical advice which should be sought from qualified medical and pharmaceutical advisers. Note: Telura is a prescription drug and should be used under proper medical guidance and advice. Do not share the medicine with others, since they may be suffering from a problem that is not effectively treated by this drug. Note: Tentide is a prescription drug and should be used under proper medical guidance and advice. Do not share the medicine with others, since they may be suffering from a problem that is not effectively treated by this drug. Note: Valten is a prescription drug and should be used under proper medical guidance and advice. Do not share the medicine with others, since they may be suffering from a problem that is not effectively treated by this drug. 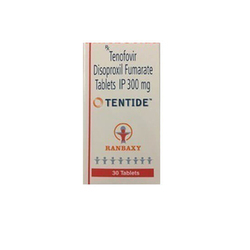 Tenohep contains tenofovir disoproxil fumarte 300 mg. Tenohep is manufactured by Zydus. WARNING: - Tenohep is a prescription drug and should be used under proper medical guidance and advice. The information provided here is for general educational purposes only and does not constitute medical or pharmaceutical advice which should be sought from qualified medical and pharmaceutical advisers. Keep all medicines out of the reach of children and away from pets,never share your medicines with others, and use this medication only for the indication prescribed. The information contained herein is not intended to cover all possible uses, directions, precautions, warnings, drug interactions, allergic reactions, or adverse effects. 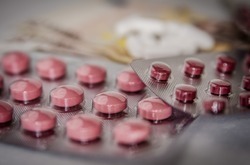 If you have questions about the drugs you are taking, check with your doctor, nurse or pharmacist. Note: Reviro is a prescription drug and should be used under proper medical guidance and advice. Do not share the medicine with others, since they may be suffering from a problem that is not effectively treated by this drug. 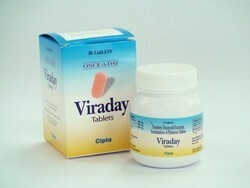 Viraday medicine contains salt chemical Efavirenz, Emtricitabine and Tenofovir Disoproxil Fumarate. This medicine has the strength of Efavirenz 600 mg, Emtricitabine 200 mg and Tenofovir Disoproxil Fumarate 300 mg. There are 30 tablets in a box and this medicine is manufactured by Cipla ltd.
Viraday is a prescription drug and should be used under proper medical guidance and advice. The information provided here is for general educational purposes only and does not constitute medical or pharmaceutical advice which should be sought from qualified medical and pharmaceutical advisers. Ricovir medicine contains Tenofovir in it. It comes in the form of tablets. Ricovir medicine is manufactured by Mylan.